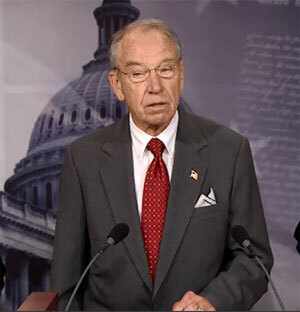 Senator Chuck Grassley (file photo). Iowa’s Governor Terry Branstad is joining at least two-dozen other governors in calling for the federal government not to send Syrian refugees to their states. Governor Branstad is telling all Iowa agencies working on resettlement plans to stop, as there are reports at least one terrorist in last week’s Paris attacks got into France with the huge influx of refugees.